Eight years before Astronaut George Taylor fell from the stars...the stars fell on the PLANET OF THE APES! 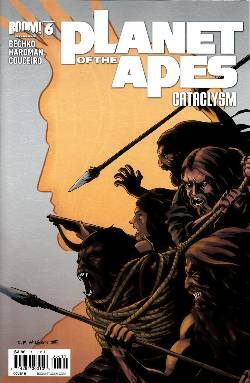 As Ape City struggles to build itself back together, tensions between the ape races are reaching a boiling point as aid quickly runs out. Zira and Lucius struggle to find help before chaos descends, once again, on the planet of the apes!